He sat next to her while they watched The University of Houston play Rice and they cheered along together. After the game Chase asked for Alex’s number before she left which she hesitantly but thankfully handed over. When Alex moved to Houston they got to know one another more and began dating. They went to games, concerts, and traveled the world together falling in love more and more. Alex knew there was a ring. She came home one day to see a Robbins Brothers bag not so secretly hidden in the closet floor. Alex started to wonder when the proposal would be. With every event and gathering they attended together, anticipation flooded her mind, wondering if this could be the day he would ask her to marry him. Meanwhile, Chase was waiting for the perfect moment. One night, Alex and Chase went to see their favorite band Cody Johnson with their friends. When the song “Diamond in my Pocket” came on, Chase knew the moment was right. During the last chorus he turned her around and sure enough, Chase had a diamond in his pocket! Their friends and concert goers circled around the couple cheering, it was perfect. Alex can’t listen to the song without thinking about that day! It is now truly, “their song”. 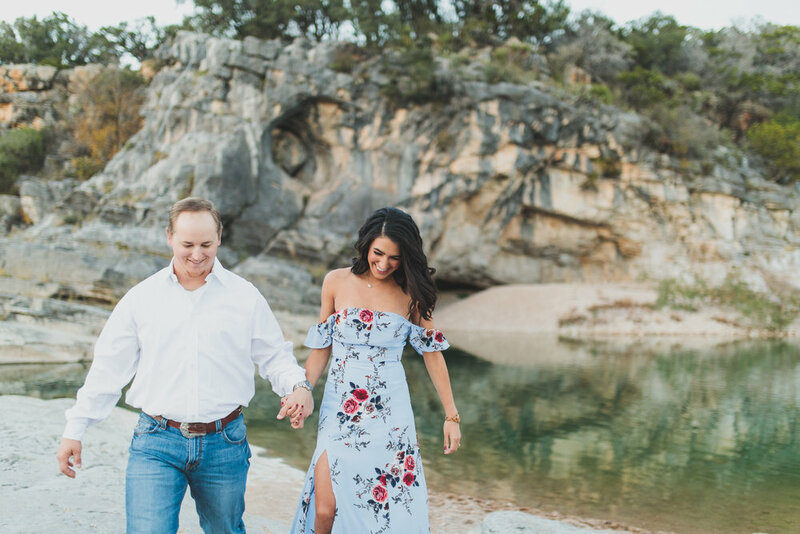 Alex and Chase met me out in the beautiful Hill Country for their engagement session. They are the cutest little pair and they truly radiate happiness. Chase and Alex, thank you for choosing me as your photographer. I can not wait for you wedding at Big Sky Barn this Fall!